The international conference on culture AIR Wro Talks, organized by the Culture Zone Wrocław (formerly the office of the European Capital of Culture Wrocław 2016) for the fourth time, is approaching fast. This year, between 28th-29th March representatives of cultural organizations, artists, curators and creatives will meet again at Barbara to talk and get to know each other better. Berlin Sessions Residency is a long term partner of AIR Wro and will participate in the conference. In 2019, the conference is dedicated to the subject of boundaries. Examining their political, social and cultural contexts, we will consider how to overcome, broaden or redefine borders, what tools to use for this purpose, how to collaborate, when borders are constantly being crossed or re-established. During the discussion panels, together with invited representatives of leading European institutions and organisations, we will discuss the meaning of Brexit for the old continent. What is the role of institutions and agencies promoting culture in the post-colonial world and in the era of redefinition of concepts such as identity or community? What are boundaries in culture and art? Managers working with artists and audiences with different degrees of disability will address questions about accessibility of culture. During the workshops, also open to the citizens of Wrocław, we will explore and discuss about the most current issues. We will talk about respect, responsibility and solidarity, but also about hatred, because it is global education, including intercultural and anti-discrimination education, that should now constitute one of the priorities on the agenda of public institutions. Artists will also participate in the discussion. Wrocław trumpeter Piotr Damasiewicz, inspired by Serbian Vojvodina, will perform a symbolic act of intercultural reconciliation. At the same time Dominika Kulczyńska intends to convince us with her exhibition that one swallow does make a summer at the Tętno Art Gallery in Wrocław. 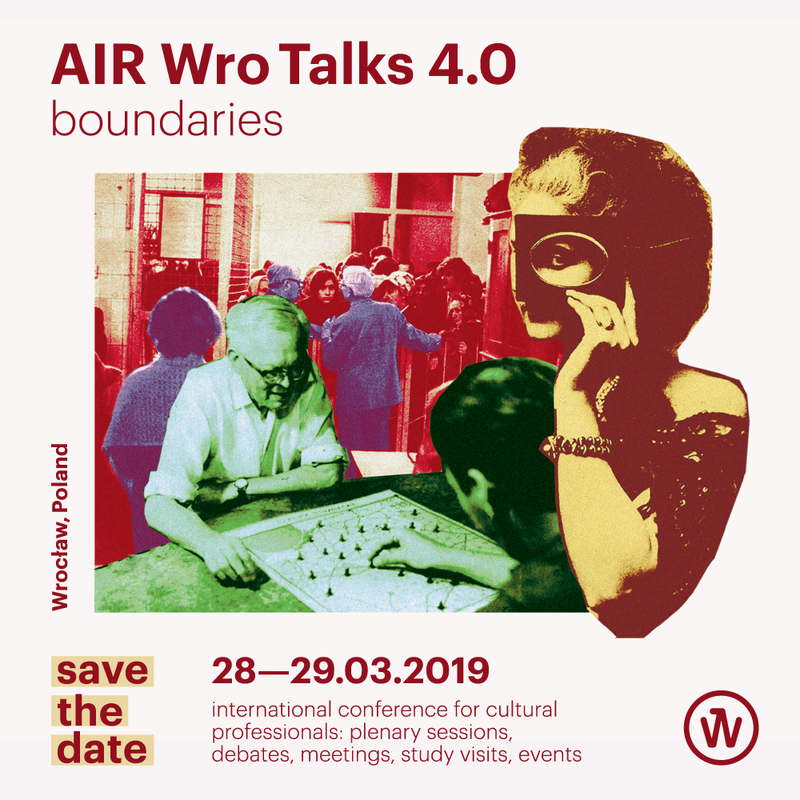 Most importantly, however, the AIR Wro Talks 4.0 conference is about the meeting of artists and operators, organizers and promoters, participants and viewers – all of us who shape culture in Europe and at the same time remain attentive to the problems and challenges in the field of culture on a global scale. Therefore, if you are interested in the programme of this year’s conference, we invite you to register, which will be possible starting from 20th February 2019 on our website or our Facebook and Instagram profiles.